HOLO Audio Spring DAC: Affordable discrete R2R Multibit Dac, could be a winner. Many manufacturers are going back to R2R Multibit d/a conversion, a good portion of audiophiles are saying it sounds better than the cheaper d/a conversion of Delta Sigma, (1 bit), Bitstream, Saber. etc. And it says it uses dual R2R’s Multibits to support DSD natively!!? Product Description:This new DAC.”Spring” is the first design of a new era, a milestone for HOLO Audio’s own Jeff Zhu. It’s a full discrete R2R type of audio decoder and does not have off the shelf-DAC chip! This is a bespoke custom-designed core DAC module and truly a breakthrough with technology for any DAC chip today. The Spring is here to achieve new heights, new dynamics and simply a full spectrum of audio to please the aural senses. This Dac has been called the poor mans Total Dac / MSB / Wavedream / Chord Dave Etc. It plays with the big boys. Looks amazing inside for $1,700. Schiit Yaggi better watch out!!!! This looks like a very good designed and implemented product. Their level 3 version could be quite special. It offers upgraded Jensen capacitors in the power supply and a silver wired 100VA transformer (green label). No question that higher quality transformers and power supply capacitors make a significant difference. Internally it appears to be very well built. Interesting the builder recommends the Audio Horizon Platinum fuse as a desirable option. True R2R ladder architecture. Isuspect that this DAC (particularly the level 3) could be exceptionally good sounding . I'm curious as to their approach to I/V conversion (an important variable). Their pricing seems very fair given what’s provided. I wish them well. You raise a good point regarding DSD. If the implementation of this DAC is high level it could be excellent for Redbook CD playback. I’m no digital expert, but I think it’s the same way as MSB do it on their mega dollar flagships with multiple multibit dacs, that are also discrete multibit, yet able to do native dsd. But there's no decent music available on native dsd anyway so why bother. And the PCM redbook 16/44 or 24/96 that's been converted to dsd "Hirez downloads to me sound at best average. Just looked for purchasing, and all three versions are out of stock. I'd enjoy the opportunity of directly comparing their level 3 Spring DAC with my organic sounding Yamamoto DAC. I had the Metrum Octave DAC (R2R/multi bit chip concept)a few years ago. It was in fact very good but head to head I preferred the Yamamoto and sold the Octave. The Spring DAC could possibly be better than the Metrum. It'd be an insightful endeavor. Tim, good of you to drop by. Those who have indicated their interest can start ordering now. A very big Yay for them! Very interested, especially with upgraded transformers. There seems to be three ways of getting these in their various models. And another in Hong Kong, even cheaper. The review is with headphones come on. I can really tell what that dac can do. I think listening to a pair of HD800's or even HD650's with a good head phone amp is very revealing, once you've given them a chance and gotten used to them for a while. Has anyone placed an order and received this dac? Would be nice to hear impressions through loudspeakers too. but nothing about its sound. It uses the AK 4137 chip which is third in the "Velvet Sound" line-up of chips from AKM, used also in all Esoteric players and dac's. Interesting that the AK 4137 can be implemented as R2R. Ah I know which you are talking about, thanks for the info. Im very interested on your thoughts beyond your earlier comments on its sound as there is just so little information on this dac. Have you got the Jensens installed? nos mode should be optimal for pcm as I have found with my own Esoteric dac(N-05 which uses the AK 4490 chip) set at no upsampling plus pcm filters off. Looks like for dsd, the Spring dac needs to be switched out of nos mode to OS(oversampling) or OS DSD mode as stated in the CA forum thread. This is similar to the Esoteric dac. switches and precision resistors, like resistor ladder dacs. So, no matter it is ’discrete DSD conversion’ or ’discrete PCM conversion’, they all use the same discrete devices. Just work in different architecture. That makes possible to combine these two modes in one device." You have assembled a very nice and well thought out system. I believe choosing the Spring DAC level 3(upgrade capacitors and transformer) was a good decision. I sincerely believe that opting for the highest quality transformer/caps offered are the type of choices that make a true difference in sound quality. Your system IMO will be capable of resolving the improvement these better parts provide. I'm confident that you'll have no regrets. I like the fact that the transformer is a robust 100 VA. Most DACS use the smaller 15-30 MA size. What is the I/V conversion method? I haven't seen anything specified regarding the type of I/V conversion circuitry used in the Holo Spring DAC, if that's what Charles is asking about. Regarding I/V conversion, I have no specific knowledge of the HOLO DAC’s design beyond what has been posted and linked to here, but it seems to me to be possible that it doesn’t need any. A ladder-type D/A converter circuit, including "segmented" ladder types such as the HOLO appears to be, can be designed to provide either a voltage output or a current output from the ladder itself. Of course in either case an analog output stage of some sort would most likely still be required. Although if I recall correctly one of the very expensive upper echelon TotalDAC designs manages to do without even that, and by using a multitude of D/A converter circuits in parallel can apparently provide adequately low impedance for many applications without having any active devices between the ladder and its output. Yes I was referring to current to voltage conversion (I/V). It is usually via a resistor (passive), Op amp or sometimes a transformer (Audio Note). However as Al wrote R2R ladder circuits can have voltage output rather than current output. I’m just curious how this interesting DAC achieves its output. A good friend of mine decided to order this DAC (level 3 version ) and should have it in a few weeks. He has a Bricasti SE which sounds terrific in his system. I think that this is going to be a interesting comparison. If possible I’d like to hear it in my system and compare to my Yamamoto YDA DAC. It’d be fun to hear this DAC in two very differently assembled audio systems. Well common ground is we both have "class A amplifiers". I have 8 watt 300b SET mono blocks and he has 600 watt Krell FPB mono blocks 😁. It would be extremely helpful to hear how both of those comparisons go, especially against the Bricasti SE since that's a more widely known product. I look forward to your further thoughts on the Holo DAC. The primary comparison will be between the Spring DAC and Bricasti SE. The Yamamoto is definitely a lesser known Japanese boutique product. It has been built by a very talented designer and sounds superbly natural and is musically/emotionally engaging. This comparison would be optional. The Yamamoto YDA-01 dac at $2450 would be a better comparison with the Spring dac than the Bricasti SE at about 4 times the price of these 2 products. In theory you’re right regarding price category and expected performance. However actually listening to components in your system proves otherwise. I’ve learned that price/performance isn’t a linear relationship. The friend I referred to earlier had the highly touted Playback Designs unit(16 K at the time) in his system several years ago. The truth? It was clearly outperformed by the far less costly Mod wright modified Oppo 2 chassis player! This was with both CD and SACD. Generally speaking you get what you pay for, in High End audio there are definitely exceptions to this mantra, no question. This has taught me that you must listen to audio products when ever possible. Speculation and expectations can be wrong. This applies to cables as well in my experience. You are so right. The Yamamoto punches way above its price point. 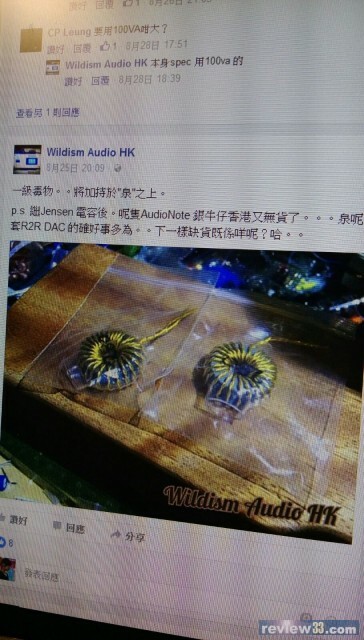 The good news for my friend was he had no problem selling the Playback Designs. Audio products that reach esteemed status via reviews and word of mouth sell quickly in most cases. When I sold my Metrum DAC a few years ago I received five offers within 6 hours of placing my audiogon ad. At that time it was a very hot and high in demand DAC. The Yamamoto flies under the radar in U.S.and wouldn't sell as easily on the used market despite its excellent sound quality. Hi Gary, did you get the Jensen capacitor upgrade? The Spring dac does not come with digital volume control and requires a preamp according to its designer. He must have very good reasons to not include a digital volume control. Because all digital domain volume controls "bit strip" if not used at or above 75% of full volume. EG: The lower you go the more they strip, 16bit, 14bit, 12bit resolution. That’s why it’s best to leave them at full and use a 10kohm passive preamp, like the $49 Schiit Sys. If your poweramp is 47kohm input impedance or higher. ".....I can’t say it’s 1 or 2 DACs inside. Physically, it is 1 DAC module, but it works in 2 different modes. Each mode uses different part of the module and also shared some parts. Spring is a 24bit DAC, bit23 is msb (most significant bit) and bit0 is lsb (least significant bit). Yes, you are right, more bits can be used for digital volume control. But Spring is a pure DAC without digital volume. Actually digital volume is no match for a good resistor attenuator. 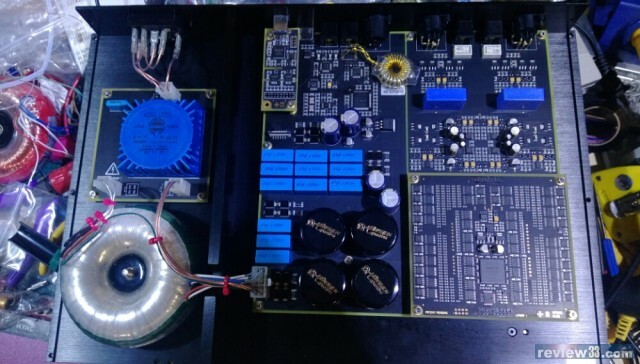 That’s why we need a dedicated pre-amp, rather than use digital volume in a DAC....."
My friend will audition the Spring DAC in his main system. It will be used with his Absolare Altius preamplifier. If I’m able to hear it in my system it will used with the Coincident Statement Line Stage. Either will most definitely reveal the innate sound character of this DAC. That is some setup that it will be tested in! I look forward to your combined thoughts on the sonic signature of the Holo. What may I ask is it up against? Thanks, Will wait for your report. I had mentioned this in an earlier post. My friend has the Bricasti SE and I have the Yamamoto YDA-01a DAC. He uses a MAC computer set up and I use the P.S.Audio PWT. My Yamamoto DAC is modified with the Duelund CAST copper foil capacitors (output coupling) SR Black fuse and sits on, a Star Sound Apprentice platform. Thanks Charles for the further info, I was not sure if the lineup had changed. Will be interesting though.